We built Slack’s platform to make it easy to bring all the tools you need to do your job into your team’s conversations. 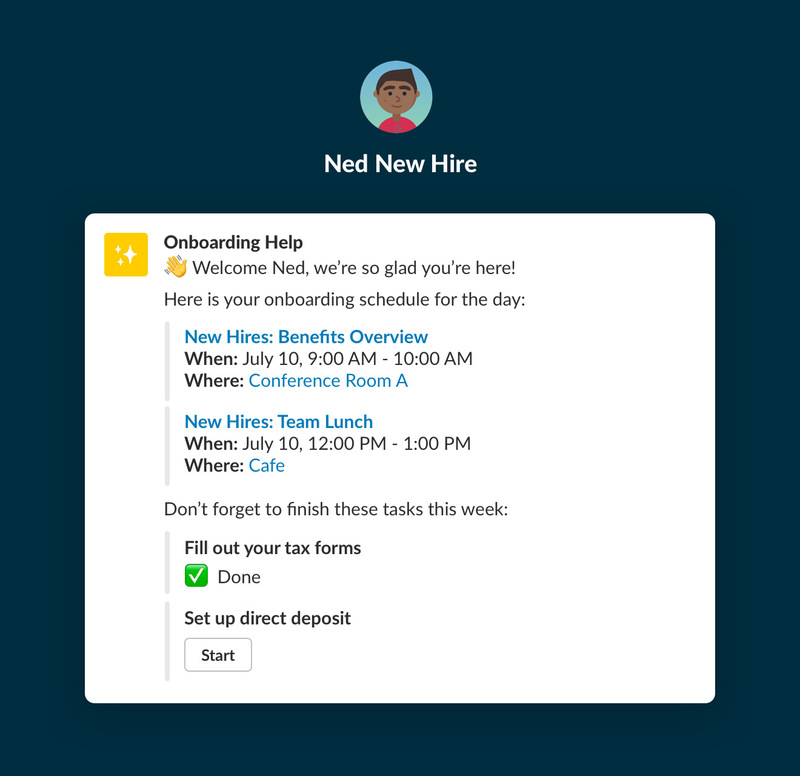 Ninety-four percent of our paid customers already take advantage of apps and integrations in Slack, whether it’s by making use of any of the 1,500-plus apps in our App Directory, or by building their own integrations customized to their team’s specific needs. But if you need to build a custom integration and you’re not a developer, you might not know where to start. 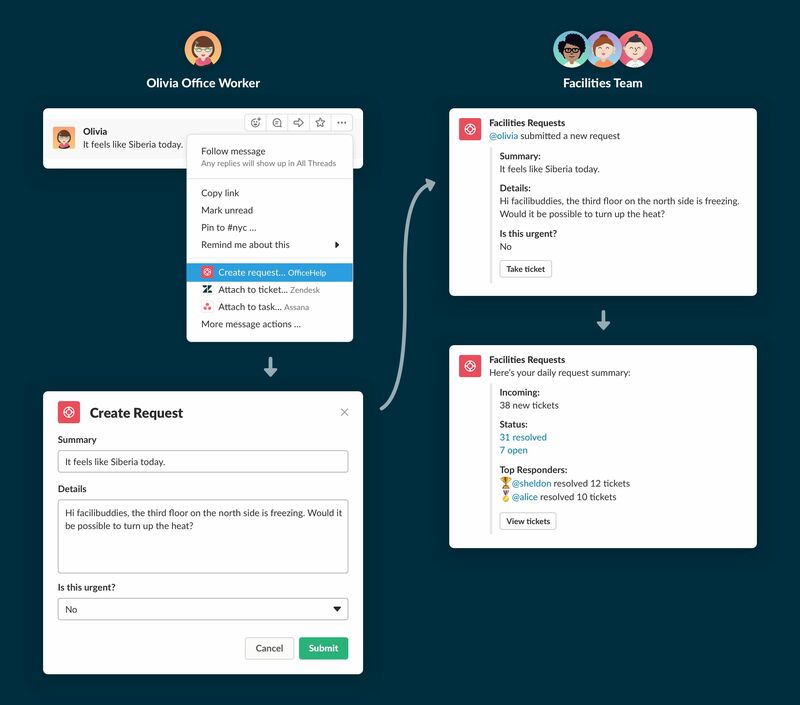 This is why Slack is acquiring Robots & Pencils’ Missions, a tool that makes it easy for anyone to automate routine processes and tasks in Slack. 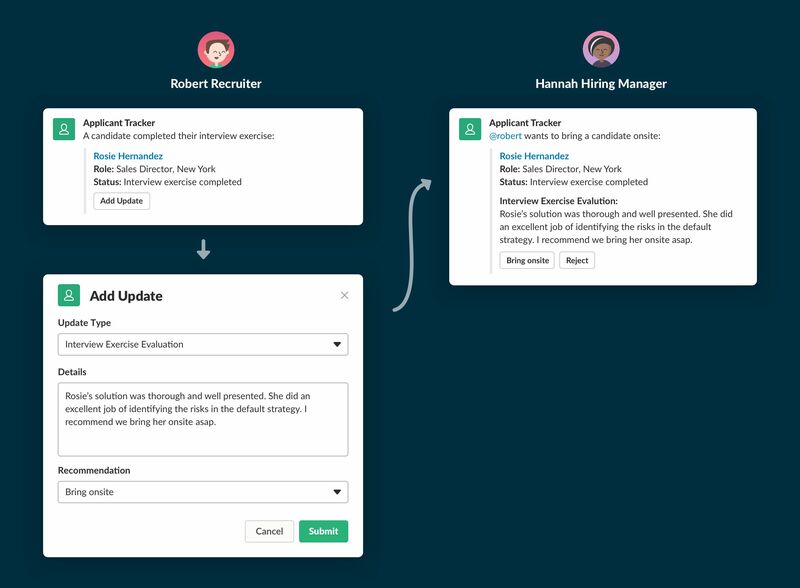 We’ll be building on the Missions technology to enable those charged with increasing their team’s productivity — from marketing and sales ops to business analysts — to automate routine work, without ever having to write code. By streamlining these common tasks, your team is freed up to do more creative and strategic work. Missions is already used by companies across all kinds of industries, from large enterprise organizations to local businesses (for example, Santa Barbara-based Bartron Real Estate Group uses it to streamline their new listing protocol and launch and sell listings at a much more rapid and profitable rate). Over the next few months, we’ll be hard at work integrating Missions technology into our platform. During this transition, we’ll support existing Missions customers free of charge, and we’ll have more to share about how you can take advantage of Missions technology on Slack later this year. For more information about how our acquisition of Missions fits into our developer roadmap, head over to the Slack Platform blog.